Bentons Square at Mornington in Melbourne’s south has been sold by Vicinity Centres. Shopping centre giant Vicinity Centres will offload a string of local malls it owns across Australia in one of the most significant retail deals of 2018. Vicinity will sell 10 sub-regional and neighbourhood centres in Victoria, New South Wales, Queensland and Western Australia to SCA Property Group in a deal that will net it $573 million. It also divested Victoria’s Belmont Village to a private investor for $58 million, in a sale that settled in late September. The 10 centres sold to SCA are Bentons Square and The Gateway in Victoria, Lavington Square and West End Plaza in New South Wales, North Shore Village and Oxenford Village in Queensland and Currambine Central, Kalamunda Central, Stirlings Central and Warnbro Centre in Western Australia. And the major deals won’t stop yet. The latest sales form part of Vicinity’s non-core asset divestment program, in which it hopes to sell up to $1 billion of sub-regional and neighbourhood shopping centres, announced in June 2018. 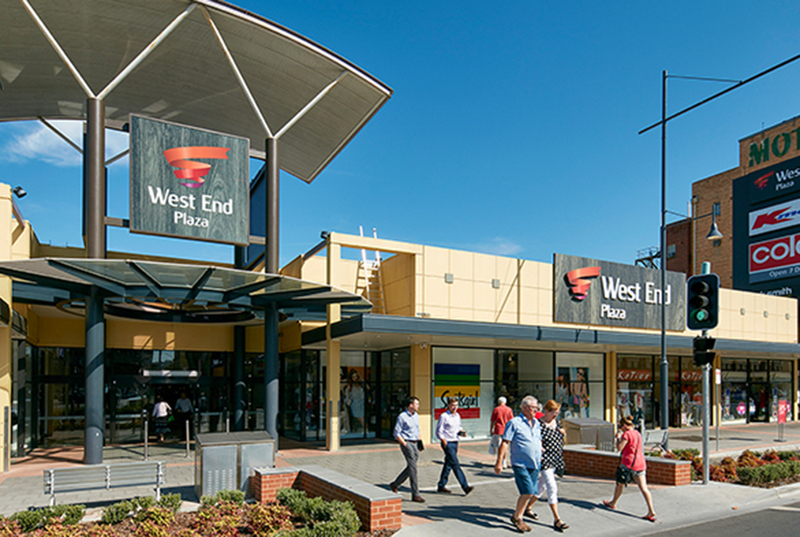 New South Wales’ West End Plaza has been sold by Vicinity Centres. Vicinity says discussions are progressing with prospective purchasers for the three remaining assets included in the divestment program. Vicinity Centres CEO Grant Kelley says the company plans to trim its holdings to around 50 shopping centres. “These transactions are a significant achievement and advance our strategy to unlock major potential in the business,” Kelley says.